You never know how much you miss something until you lose it. Take collagen. I had always taken it for granted. My skin was smooth, firm and bounced back immediately when you pinched it. Yeah, yeah, I know it wouldn’t always be like that. One day I’d get old and wrinkly…. But that day was eons away. Why think about it now? Then it happened. Around my late 20s, I’ve noticed my first few crow’s feet creeping up around my eyes. That was my wake up call. I had to do something to restore that collagen now or every year, it’d get worse and worse. What The Heck Is Collagen And Why Does It Matter? Collagen is the protein that keeps your skin elastic. When your skin loses it, it starts to sag. Wrinkle, even. This is something that happens naturally as you age. And when I say as you age, I mean as you grow up. You start losing 1% collagen each year since you turn 21! 21 not 51 ladies! If you want to keep those pesky wrinkles off your face, you need to keep that collagen put and rebuild the little you lose every year. But, is that even possible? Can skincare give you your collagen back or is that science fiction? 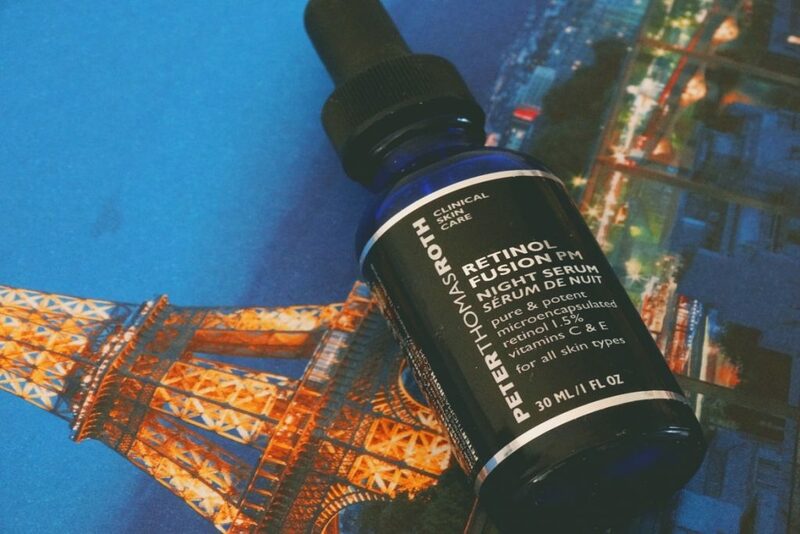 Not all retinoids are the same. Prescription forms work much faster but they’re super irritating. OTC forms like retinol work more slowly but they’re more gentler on the skin. Still, it’s best to start with a small (<1% concentration) twice a week and build up both dose and frequency gradually. Related: Which Strength Of Retinol Should You Use? You probably know vitamin C because of its powerful antioxidant properties. But this antiaging superstar is also essential for collagen synthesis. If you apply a high enough concentration of vitamin C to your skin, it’ll boost the production of collagen. A vitamin C serum isn’t optional. 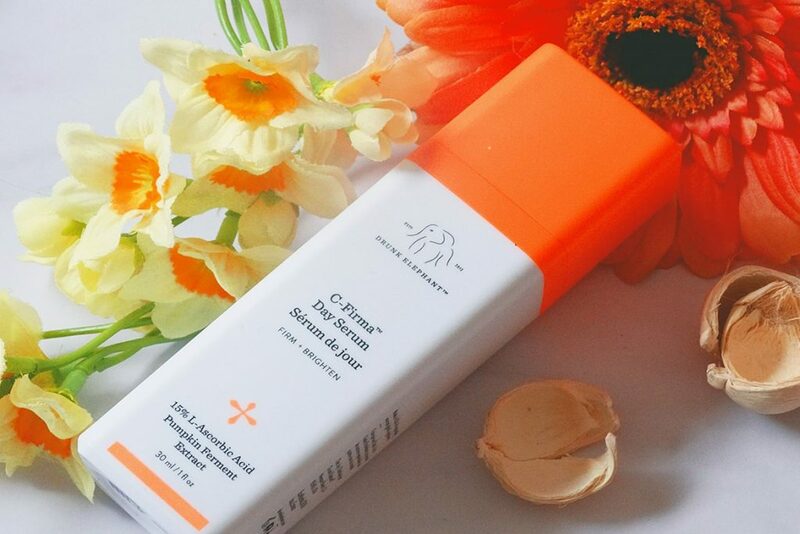 So why not use one that has its BFFs vitamin E and ferulic acid, too? Together they boost collagen production AND your sun protection! You know something else your skin needs? Exfoliation. Seriously, girl, those dead cells on your skin are roughing up its texture and stealing its glow. But why opt for a scrub that only gets rid of them when glycolic acid does the exfoliating job fine AND boosts the production of collagen too? P.S. If you have sensitive skin, glycolic acid may be too harsh for you. But all other skin types can use it safely. P.P.S. Glycolic acid boosts collagen at 10% and higher concentrations. By all means, use your glycolic acid exfoliants if they work for you. But if you want it to boost collagen, consider going for chemical peels. Amino acids are the building blocks of proteins. Collagen is a protein. It follows that feeding your skin amino acids can give it what it needs to make more collagen. But not all amino acids are created equal. The best to boost collagen production are l-lysine, l-proline, and l-threonine. Use them generously! You know what else is essential for collagen synthesis? Copper. Give your skin more copper and collagen production shoots up. But… here comes the catch: too much copper is toxic for you. I know, bummer! Good news: scientists have found a workaround. When you bind copper to peptides, it becomes safe to use on the skin. Phew! The most popular copper peptide is GHK-Cu. It boosts the production of collagen, elastin, and other components of the skin’s natural barrier; has anti-inflammatory properties; and helps heal wounds. Pretty awesome, isn’t it? 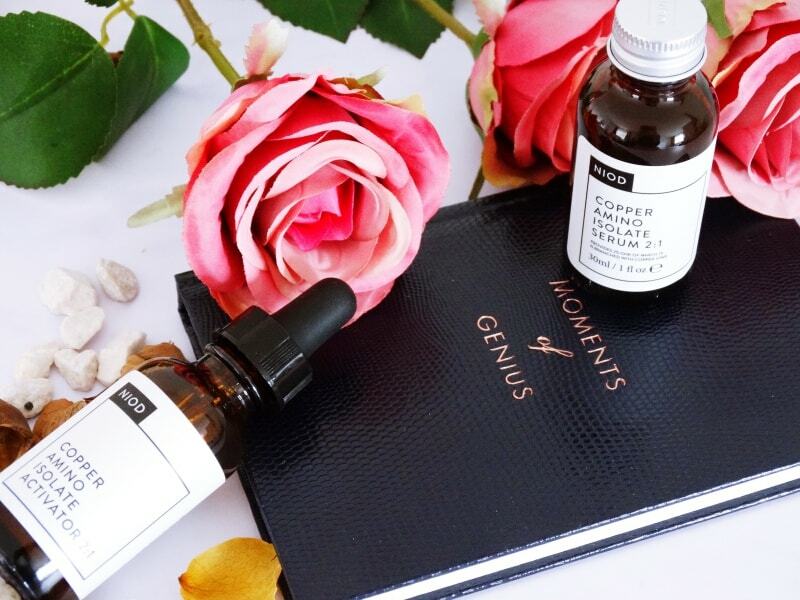 Related: Are Copper Peptides Better Than Retinoids? Let’s face it. There’s only so much topical treatments can do. If you want something stronger (and your wallet can take the hit) try Genesis laser. A 2005 study shows it helps create new collagen. The catch? You need more than one or two sessions. Six are recommended!. But, the results last up to 5 years. Gensis isn’t the only laser that can boost your collagen. Medlite is giving it a good run for its money too. A series of six treatments (that number again!) can stimulate the production of new collagen. Its effects lasts for about 3 to 5 years. If you’re looking for another professional alternative, try LED Phototherapy. It helps repair sun damage and boost the production of both collagen and elastin. The best part? It has fewer effects than laser and is safe for dark skin, too. Lost collagen isn’t lost forever! With the right skincare products and treatments, your skin’ll look younger for longer. No one’ll be able to guess your real age. 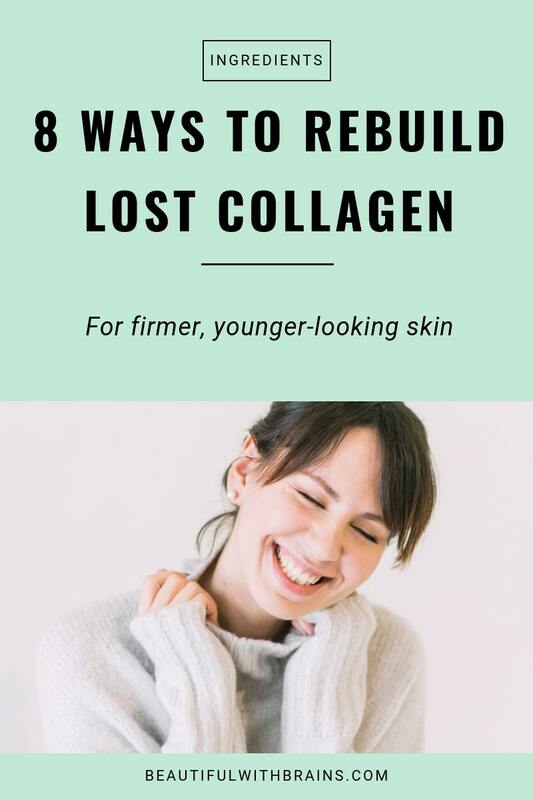 How do you rebuild lost collagen? Share your thoughts in the comments below. Rachel, than you! So glad you find it useful. Hi! I’m a 25 year old girl from the most northern part of Sweden, and I’m very interested in skincare. 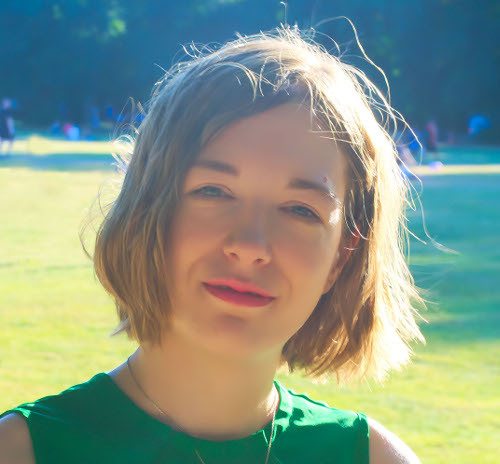 The thing is that the weather conditions can be a bit extreme where I live and I’m not sure how to adopt my skin care routine appropriately, so I have some questions that I hope you might be able to answer. Firstly, is it a good idea to wash your face before going outside in the winter time (when it’s say around -25 degrees Celsius or colder)? I was always taught as a child that this would give your skin less protection against the cold and that I shouldn’t, but I have sightly oily skin so I’m not sure what to do. Secondly, is it necessary to apply sunscreen in the middle of winter when we who live really far north either don’t see the sun at all or just barely see it for a few hours per day? And thirdly, during the summertime we have the reverse phenomena where the sun shines 24 hours per day, so should I apply sunscreen at night? The sun will most definitely shine on my skin during the night even if it is through a window. I haven’t been able to find any useful information regarding this, and I would be very grateful if you could help me with these questions. Thank you for a great blog, I’ve learned so much from you! 1. It depends. A lot of bar soaps are pretty harsh on the skin and can damage its protective barrier. When that happens, harsh weather can wreak havoc on the skin. But a lot of cleansers today are very gentle, and remove dirt without compromising this barrier. Afterwards apply a moisturizer with skin-identical ingredients (such as ceramides and fatty acids) that help strengthen that barrier, and you should be fine. 2. As a rule, sunscreen should be used from the moment the sun goes up (or you wake up, obviously), to the moment it goes down. That’s because, unlike sunburn-inducing UVB rays which are stronger between 10am and 4pm, wrinkle-causing UVA rays are always present. So, if you’re concerned about anti-ageing, yes, you should wear sunscreen in winter too, but only until the sun sets. If you’re worried about vitamin D deficiency, and can’t get enough of it from your diet alone, then I’d suggest going without sunscreen for a day a week. It may cause some sun damage to the skin, but it’s not as bad as the harm a lack of vitamin D does. 3. If the sun is able to hit your skin at night, then yes, you should apply sunscreen at night too. UV rays can penetrate through glass too, unfortunately, so, if you’re directly in front of a window, you should still wear sunscreen. HI, I found your site looking for something else and this article caught my attention. I have recently been looking for a collagen supplement. I heard they are great for collagen production. I’ve been looking for hydrolyzed collagen supplements and found there are many out there. Verisol and BioCell had some studies done with promising effects (I found them on pubmed). Do you have any thoughts on using oral supplements (pills) for collagen production? Mostly importantly, do you find anything indicating it is unsafe to ingest these supplements? My thought – if it can’t hurt, may as well give it a try 🙂 Do you have a favorite brand of collagen or one you’d recommend trying? I’ve been poking around your site for about an hour….it’s just amazing! Great site! SP, thank you! So glad you like my website, and hope to see you around often. Were those studies you saw about collagen peptides? Collagen itself is a protein, and, as such, when ingested gets broken down into amino acids. This makes collagen supplements completely useless. Collagen peptides, on the other hand, are small peptides made up of several amino acids, which the body can use to make new collagen. Collagen peptides are also treated with specific enzymes to ensure that skin cells can readily use them. This type of collagen seems to be a bit more effective, although most of the studies I’ve seen about them are made by the manufacturers. What are your thoughts on products containing growth hormone? Do they work and are they safe for long/er term use? What do you think of antioxidants in entirely natural forms like say, cranberry seed oil? Strong enough for any discernible improvement? Fynl, I don’t like the idea of using hormones in skincare, especially human growth hormones. Hormones are something I wouldn’t mess with and there isn’t much proof they work anyway. Cranberry seed oil and other oils like that are fine. I especially love rosehip oil because it’s a natural source of vitamin A.
I must say, i never found any benefit using skin oils and found using they made my skin look worse if anything, despite being sparing with them (2-3 drops max). Recently i have tried squalane oil, which is one of the skin oils which does not oxidize, and actually acts like a anti oxidant. I have noticed a difference using this oil compared to others. FYI My skin care routine consists of l abscorbic acid and matrixyl in the morning, retinol and niacinamide at night (once a week I use retin a, i am starting the process of adjusting to it) a good dermalogica moisturizer, with a couple of drops of squalane oil added, gentle but effective cleansers, and of course, religious sunscreen… 3 months into my routine i have everyone asking me what i have done to my skin, i get loads of compliments. Lily, your skin routine is spot on. No wonder your skin looks amazing. Well done for putting it together! That’s a great point you’re making about oils. I think they can work but they do go bad quicker than store-bought cosmetics. If you want to go down that route, you need to be prepared to use them quickly and buy often. But I also think oils work best for dry and dehydrated skin types. Other skin types won’t see much of a difference and may even get breakouts. Audrey, there is some evidence that other peptides, like Matrixyl 3000, can help, but it’s very scant. Most studies are still done by the manufacturers and I don’t count those. Skincare products with collagen are useless, but what about hydrolyzed collagen? Is it useless too? AM, it MAY have some benefits in supplements (the jury’s still out there) but in skincare, it’s just a moisturizer. Me too–love your site and find it very interesting. Thank you very much! I’ve recently been researching micro needling and had my first session this week. I am not yet ready to spring for doing micro needling with PRP, so I had it done by a licensed esthetician who uses Biopelle ampoules with snail serum, a mask with stem cells derived from plant sources, and hyaluronic acid, all applied topically. I have to say, even just two days later, my skin looks very good, fine lines are definitely diminished. What seems to be the consensus is that the wounds the micro needles create in the skin result in tiny channels through which good quality products can actually reach the dermis, rather than just sitting on top of the skin, as is the case whenever we apply topicals. The act of “wounding” the skin seems to cause the collagen to contract, resulting in the body creating more collagen. These tiny channels remain open only for a short period. Have you checked this out yet? If so, I’m wondering what you think. I myself would not attempt to do any sort of needling on my face. I’ll leave that to the professionals, but I am wondering about buying a derma roller and using some of the products that you’ve mentioned as helping to create more collagen, but on my arms and legs. Any thoughts? Kab, I agree about everything you’d said about microneedling. It does trigger the production of collagen and helps skincare products better penetrate the skin. Once in a while it’s great. But I’m concerned that wounding the skin often may make healing more difficult in the long run. Between treatments, you can use some of these options to help your skin produce more collagen. Hi Gio, what a great article. I love that you admit the truth about collagen in creams, and I say that as a woman with a feww bottles of face cream containing collagen. The tips about retinoids and vit C are spot on. I have been usung both plus I have actually been drinking collagen a lot lately. Its making a difference. My face is appearing plumper. I read a study that inspired me. The study said that drinking collagen causes an increase in key amino acids and the peptides in the body. The result is an increase in production of hyaluronic acid in the skin of 3.8 fold just two hours after drinking it. So drink up! Haha. I think your blog is great so I am going to subscribe. I was about to ask you the question about your thoughts on consuming collagen and it looks like the last comment touches upon it already. I saw this collagen formula at the store the other day. I did not even know such a thing existed. Maria, as I said the science is conflicting. I think it’s the price is reasonable, you can give it a try. But I wouldn’t invest too much in it just yet. What is your opinion of Sero Vital? Nora, I don’t really like human growth hormones. If not used properly, they can do some serious damage. I love your detailed and super helpful writing. Will be a diligent reader or yours. Nhanh Le, aww thank you so much for your support! I really appreciate it. Thanks for such informative and balanced writing. FWIW, drinking collagen and minerals in the form of organic homemade bone broth is another way to nourish skin from the inside. Have only anecdotal evidence it works since every person I know who does it has seen improvement in their skin — fuller, plumper, tighter, and more glowing. Takes about a month to see the results. I’m 35 and up until recently I’ve had great skin. I’ve always ate healthy, wore sunscreen, and took care of myself. However, over the last few months things haven’t been going well. I went back to school, my mom got sick, and overall the stress took a toll on me. I’ve noticed these dark rings around my eyes and they look sunken. My derm told me I’ve lost volume and I’m aging and will need fillers. I’m very scared to do this and was wondering if there is any hope out there to build up volume again naturally like with some of the things youve mentioned above. I’ve been really bummed out and blaming myself for this happening to my face. Any advice would help! Cynthia, are you using anything else before moisturiser? It seems like your skin’s protective barrier is severely damaged. Try a gentle moisturiser like Cerave PM Moisturiser.